Heather Murphy is manager, AML, at Commonwealth Financial Network®, member FINRA/SIPC, the nation's largest privately held Registered Investment Adviser–independent broker/dealer. 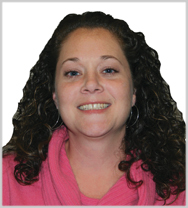 Heather has been with Commonwealth since December 2007 as a member of the Service Center. In her current role, she oversees the team that reviews, analyzes, and identifies potential suspicious activity. She works with her team to investigate patterns and typologies that may lead to filing suspicious activity reports. She also manages the Senior Investor Protection program that investigates concerns of potential financial exploitation and provides guidance on handling customers who are exhibiting signs of diminished capacity. Heather holds her FINRA Series 7, 24, 53, 63, and 65 registrations, as well as her CAMS and AIF® designations. Elder financial abuse has been called the crime of the 21st century for good reason. The North American Securities Administrators Association estimates that each year, $37 billion is stolen from seniors by unknown bad actors as well as by family members, friends, and others in a position of trust. And that number could grow—according to the Social Security Administration, as of September 2018, the average life expectancy for a man turning 65 today is 84.3 years, and the life expectancy for a woman the same age is 86.7. As the number of older Americans increases, so does the number of targets for financial exploitation. 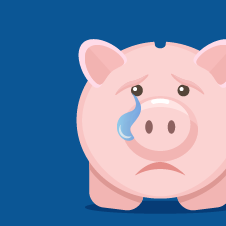 So, how can we, as financial professionals in a position of trust, help protect our clients?